Lamination finish – the third most commonly preferred finish is also technically called as PolyResin Polish. Lamination finish delivers glossy finish. Well you could say very high glossy finish. But, its expensive of all. Reason being the chemicals used and the number of steps to polishing repeated. For lamination or polyresin finish, the entire surface undergoes the lamination process at once unlike other polishing finishes. Polyresin polish delivers natural finish and also colored finish as per client’s choice. For natural look, polyresin clear finish solution is applied to bring out the naturalness and richness of the wood. 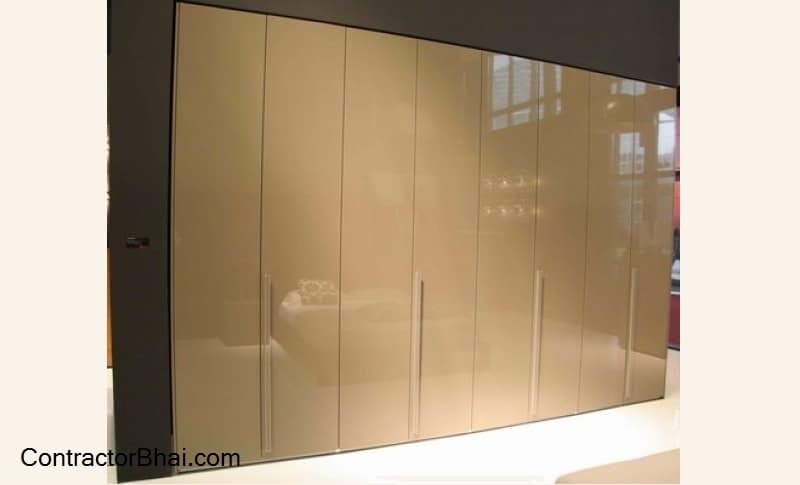 With lamination finish, a thin glass like film or finish is formed over the wooden surface. The major difference is the thickness. PU finished wood surface will have thinner coating film or thickness than Laminated wood finish surface. Reason being, there are almost 12 to 14 coats done for lamination or polyresin finish while for PU finish only 2 or maximum 3 coats are applied for achieve desired finish. So you see there’s major difference in the thickness. This difference you can make out if you happen to see the same wooden surface, 1 with PU coating and other with lamination finish at the same time. Durability wise PU finish wooden surface/ furniture will last as much as a laminated wooden surface/furniture would. But we often suggest home owners to have only a few areas wooden furniture’s be coated with polyresin polish while few with lamination (if budget allows). To explain this suggestion let me give you an example. For dining tables, its advisable to have lamination/polyresin polish finished wooden surface then PU coated wooden surface. This is because the polyresin coated wooden surface proves to be more durable here then PU polish. PU polish is a 2 coat polish that form a thin layer over wooden surface as compared to laminated wooden surface. And that’s the reason that PU coating will easily wear out since dining table undergoes the most wear-n-tear on daily basis. Also the more you wet wipe the laminated wooden surface, glossier and smoother it becomes. If the same dining table is finished with Melamine polish, the polish will last for 3-4 years say. And the PU polish on same dining table will last for say 5-6 years max. But polyester polish will last for many many years to come since there are 14- 20 coats applied for polyester finish. the only thing that could damage the table is breaking or chipping. If any heavy object falls over laminated wooden surface, the polished surface will break into minute pieces like glass. PU comparatively is a flexible polish and won’t be damaged if any heavy object falls over it. As like Polyester, melamine polish is not flexible , but the thickness on final polish is so thin that it stays unaffected if any heavy object falls over it. Home owners who desire for glossy finish, but not wanting to spend much can choose for PU-gloss polish which is cheaper than laminate finish. But surely the finish that Lamination finish gives cannot be matched. What are the rates for lamination of laminated wooden surface?